Hey guys! Simple, short and sweet post today. Here’s what I found at this weekend’s farmers market. This post is absolutely 100% an excuse to show off these gorgeous BEAUT-I-FUL veggies. Because you should try and eat the rainbow, every day. Just do it. I spent $15 for all of these farm fresh goodies. 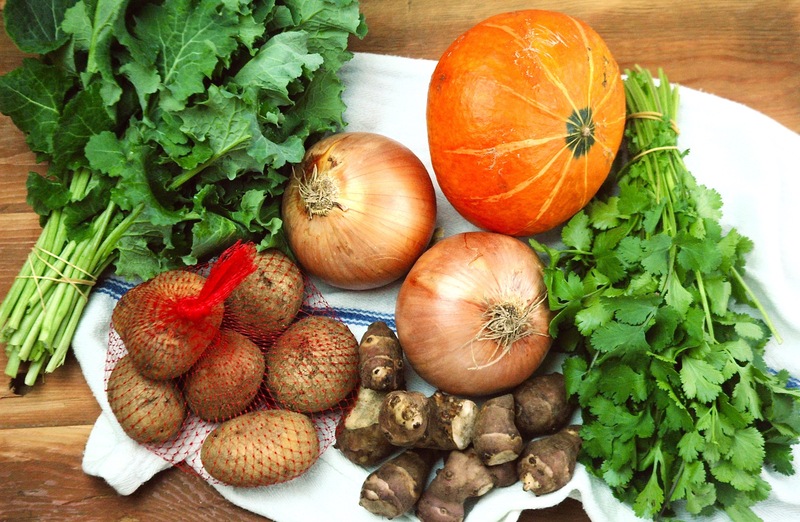 From left to right: Russian Kale, German Butterball Potatoes, Yellow Onions, Kabocha Squash, Sunchokes (Jerusalem Artichokes), Cilantro. Cilantro in all its glory! Fresh and bright — it pairs wonderfully with any fresh Mexican-inspired dish. Top your burrito bowls with it, whisk it up with some freshly squeezed lime juice and olive oil for a zesty vinaigrette, or toss it into a warm bowl of rice (and lime juice!) for a quick side. I was craving some sort of kale salad (to get back on track after our Vancouver trip), and I noticed this variety at one of the stands. I’d never had Russian kale before, but it’s TASTY. 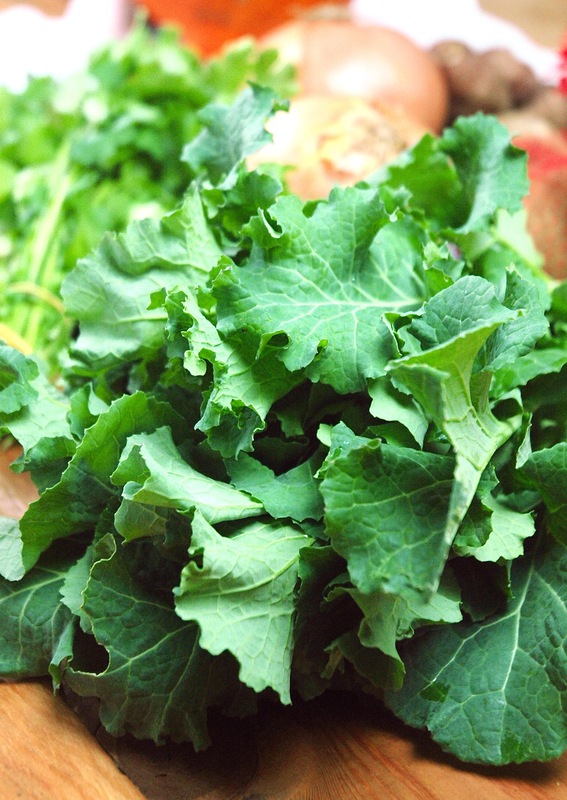 It’s sort of a cross between kale and arugula, in that the leaves are small and flat but also peppery and hearty. You’ll still want to remove the stems, and massage the leaves before using them in a raw salad. I’m MOST excited about my Kabocha squash. If you’ve ever had vegetable tempura (it’s the best thing ever! ), this squash is usually included in the medley of tempura-battered fried veggies served up. 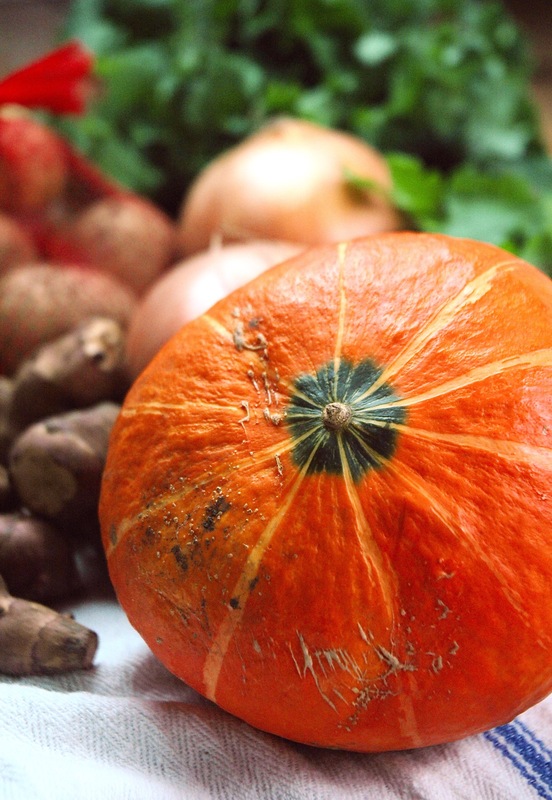 In taste, it’s a cross between a sweet potato and a pumpkin, and it has bright orange flesh. The skin will either be dark green, or orange, like the one I found! Last but not least – Sunchokes! 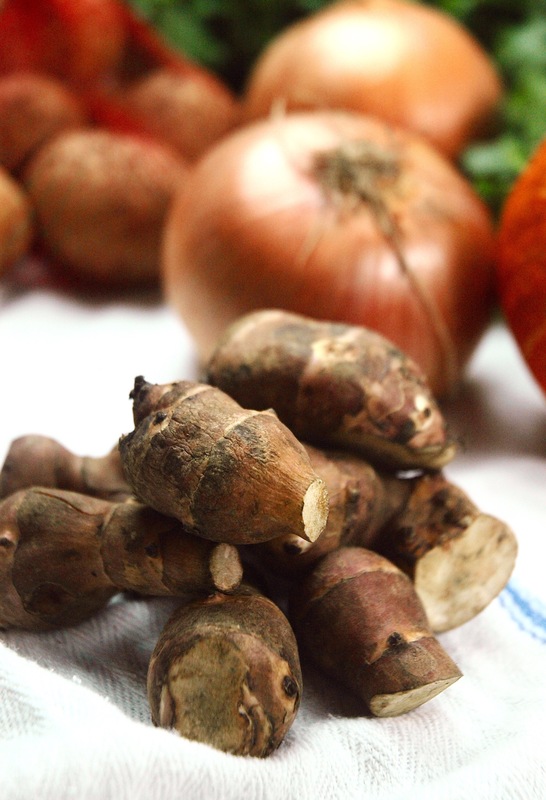 They are also called Jerusalem artichokes, or earth apples. After roasting them I can say the earth apple name is most accurate. When roasted, they get all nice and tender on the inside, but the outside still has some bite to it. The best part about these guys is they don’t have to be peeled. But do scrub them clean under cold water before you cook ’em. 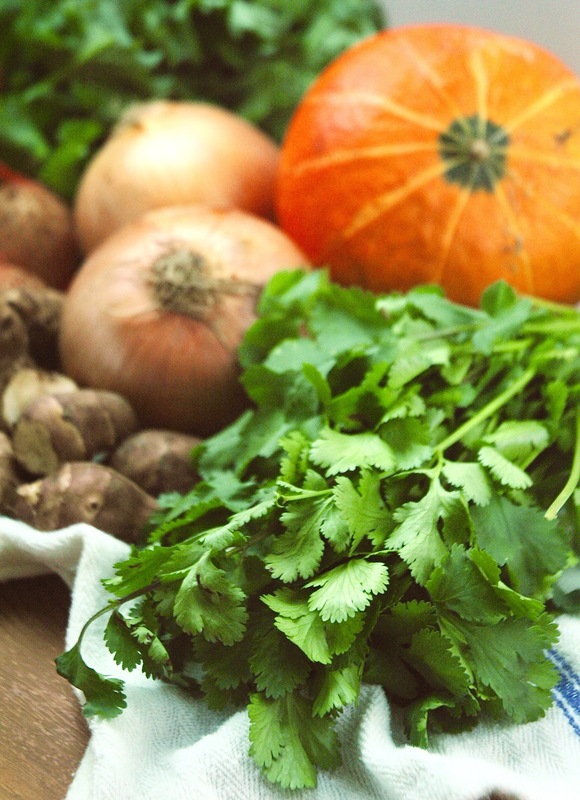 Keep your eyes peeled for these veggies as they will most certainly be showcased in upcoming yummy recipes. In the meantime, please do tell, what did YOU find at your latest trip to the farmers market?